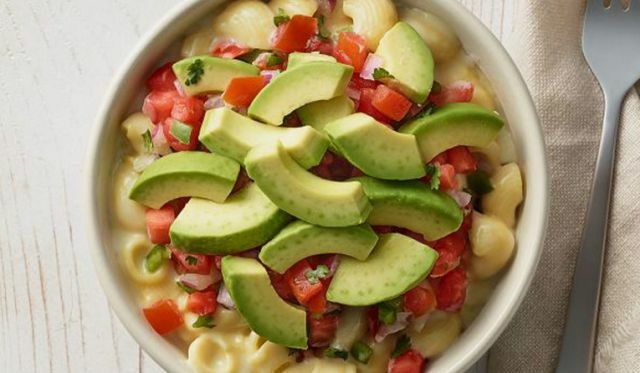 Panera Bread introduces a degree of personalization to their Mac & Cheese with a new "Build Your Own Mac" option. For whatever reason, the new option can only be selected when ordering online or via the Panera app. When choosing "Build Your Own Mac," you can pick up to five toppings for your Mac & Cheese, including up to two "proteins" and up to three "toppings." The items listed under "proteins" include avocado, chopped bacon, and smoked pulled chicken, while "toppings" include apple cider vinegar BBQ sauce, cilantro, frizzled onions, and pico de gallo. "Build Your Own Mac" goes for $10.99 in my area (compared to $9.99 to Bacon Mac & Cheese and $8.79 for plain Mac & Cheese). The chain is also offering a new Mac & Cheese Bar for catering orders, which is similar to "Build Your Own Mac" but on a larger scale for more people.